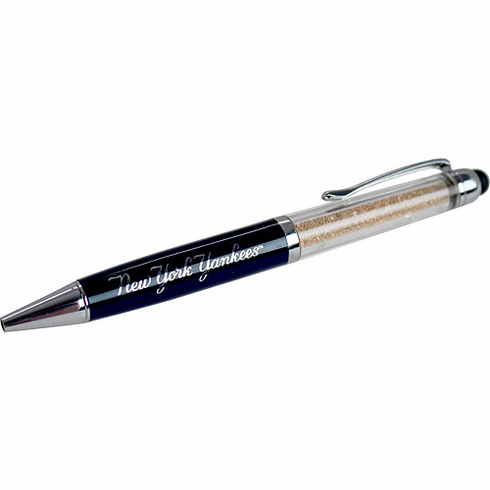 This incredible New York Yankees Executive Pen with authentic dirt from Yankee Stadium is a great gift for the Yankees fan in your life. This ball point pen writes in black ink and also comes with a functional stylus at the top for your smart phone or tablet. The dirt inside this pen is MLB Authenticated and comes complete with a MLB Hologram and Steiner Sports Certificate of Authenticity.